We describe Sketch-Sketch Revolution, a new tutorial system that allows any user to experience the success of drawing content previously created by an expert artist. Sketch-Sketch Revolution not only guides users through the application user interface, it also provides assistance with the actual sketching. In addition, the system offers an authoring tool that enables artists to create content and then automatically generates a tutorial from their recorded workflow history. Sketch-Sketch Revolution is a unique hybrid tutorial system that combines in-product, content-centric and reactive tutorial methods to provide an engaging learning experience. 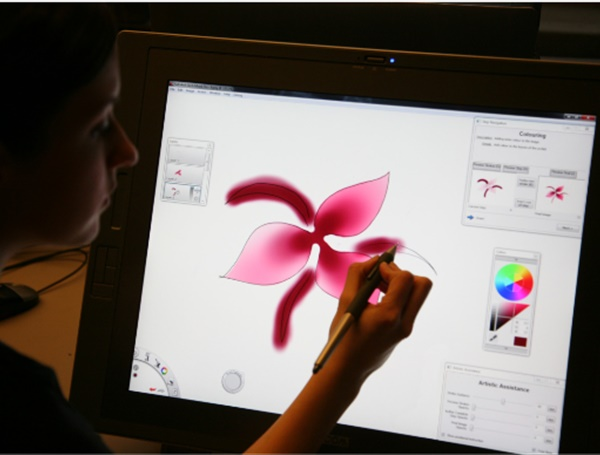 A qualitative user study showed that our system successfully taught users how to interact with a drawing application user interface, gave users confidence they could recreate expert content, and was uniformly considered useful and easy to use.